Tom and Millie are best friends who live in a quiet lane on the edge of town. They rely on each other to make sense of what's going on in their lives and in the lives of their families - especially Harry Mac's. Harry Mac, Tom's dad, is a man of silences and secrets. And now Tom is involved in one of those secrets. At school, Tom sits through lessons on the arms race and President Kennedy, waiting until he can be back on the lane where life is far more interesting: why does a black car drive slowly up the lane every night? And what did Harry Mac mean when he wrote in his newspaper 'people disappear in the night'? A series of shocking events and discoveries lead Tom closer to the truth, but threaten to tear his world apart. Set within a fascinating period of South African politics, this is a coming-of-age story full of heart, soul and hope, in the tradition of Jasper Jones and To Kill a Mockingbird. Russell Eldridge is South African by birth and lives in Byron Bay. 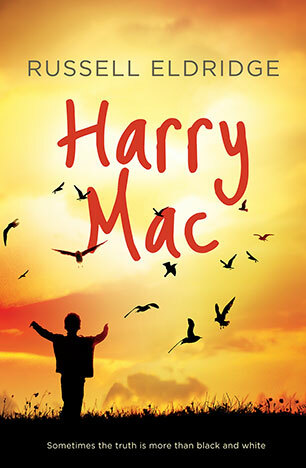 Harry Mac is his debut novel.